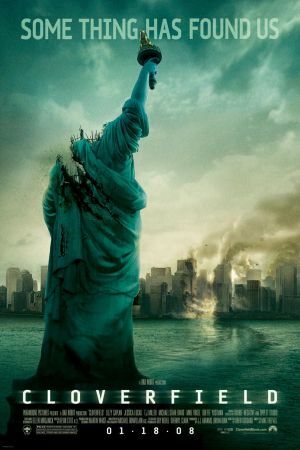 Director Matt Reeves (THE PALLBEARER) and producer J. J. Abrams (LOST, ALIAS) turn a mysterious monster loose in Manhattan in the disaster flick CLOVERFIELD. The movie begins at a party for Rob (Michael Stahl-David), who has accepted a promotion that will send him to Japan. Hud (T. J. Miller) is entrusted with the responsibility of videotaping the party--and as the trouble grows, he holds on to the camera, recording everything that happens. In fact, the entire movie is seen through the lens of his camera, reminiscent of THE BLAIR WITCH PROJECT. As terrified people in a post-9/11 New York City take to the streets, Rob decides to head uptown to try to save Beth (Odette Yustman), the woman he loves, though he's afraid to tell her so. Rob is joined by his brother Jason (Mike Vogel), Jason's girlfriend Lily (Jessica Lucas), Lily's friend Marlena (Lizzy Caplan), and Hud, who has a thing for Marlena. Rob is determined not to give up, even after almost being crushed by the Statue of Liberty's head and as the military shows up to force evacuation of the city. Reeves and first-time screenwriter Drew Goddard, who previously has written television episodes of such series as BUFFY THE VAMPIRE SLAYER, ANGEL, ALIAS, and LOST, focus in on the central aspect of the story: people trying to survive the monster attack. Very little else is explained, since the story is told completely through the video camera. And there is no additional score to heighten the drama; the only music is that which is picked up by Hud and the camera's microphone, including snippets of songs by Kings of Leon, Parliament Funkadelic, Of Montreal, and others. 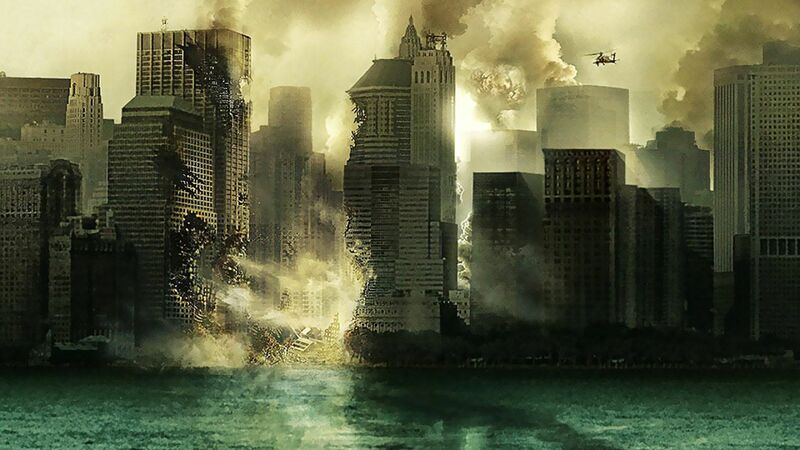 The anticipation of CLOVERFIELD's release was enhanced by a viral marketing campaign that included Web sites built around the main characters and even the fictional drink Slusho.